One woman's choice to "die with dignity" may be the tipping point in an age-old debate. Now that the Supreme Court has -- more or less -- endorsed one's right to marry as they choose, is one's right to choose how they die the next big issue to face the Court? If you've been on Facebook in the past 48 hours, you've probably seen the story of 29-year old Brittany Maynard. Maynard, a California native, was diagnosed with a brain tumor that has grown more rapidly than originally expected. Her doctors gave her six months to live. So Maynard and her husband moved to Oregon, where she has the legal right to choose to die. There are only five states with so-called Death with Dignity laws which allow someone with a terminal illness to end his or her own life with prescription medication. Pennsylvania has no such law. However, State Sen. Daylin Leach (D-17), who represents Delaware and Montgomery counties, introduced in June 2013 Senate Bill 1032, regarding the request and dispensation of lethal medication to patients seeking to die in a dignified and humane manner. The bill has yet to gain momentum in the General Assembly. This conversation is sure to continue in the months and years to come. Brittany Maynard will no doubt become the face of this debate because she appears to be an intelligent, articulate, public-friendly persona -- very different from the Jack Kevorkian debates of the 1990s. 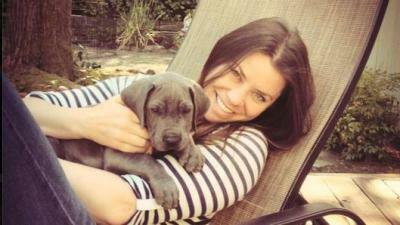 Listen to Brittany Maynard explain her choice and the path she took to arrive at this decision. She will, no doubt, be an important voice in the future of this debate.